The awe-inspiring list of local and international achievements, awards and recognition given to the Gift of the Givers fills one with immense admiration and pride. It is the first international humanitarian organisation accredited by Proudly South African and has been rated as one of the most trusted and admired non-government organisations (NGOs) in the country. 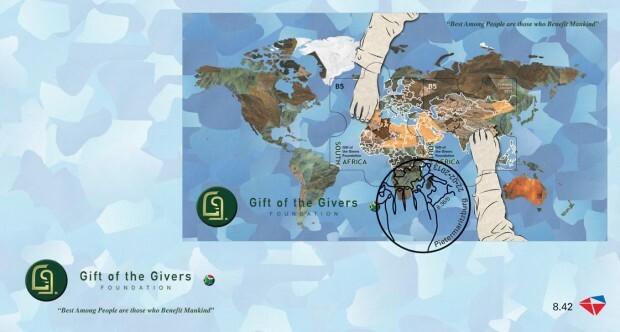 In recognition of the Gift of the Givers’ selfless humanitarian work, the South African Post Office will issue a miniatures sheet with two stamps on 22 February. Founded on 6 August 1992 by Dr Imtiaz Sooliman, the Gift of the Givers Foundation epitomises compassion and humanitarianism; it has gained international acclaim from the provision of disaster response relief and rehabilitation to victims both locally and throughout the rest of the world. This South Africa based NGO is the largest disaster relief group of African origin and has delivered life-saving aid in the form of search and rescue teams, medical personnel, medical equipment, medical supplies, medicines, vaccines, anti-malarial medication, high-energy and protein supplements, food and water to the value of more than R450 million to millions of people in 32 countries, including Bosnia, Pakistan, Iran, Iraq, Sri Lanka, Somalia, Malawi, Haiti, Darfur, Sudan, Lebanon, Zimbabwe and South Africa. Gift of the Givers’ assistance is purely humanitarian and unconditional. The organisation prides itself on being as inclusive as possible in its aid delivery programmes and assists irrespective of race, religion, colour, class, political affiliation or geographical boundary. It takes special care in ensuring that aid delivery reaches the most vulnerable and challenged members of the society in the most dignified manner. This includes recipients who are physically and mentally challenged, hearing and sight compromised, orphaned and vulnerable children and child-headed households. During the aftermath of the 2012 Haiti earthquake, the organisation sent four rescue teams and aid materials to the country and at one point in 2011, it was the only international aid group providing food to Somalia, airlifting 180 tons and shipping 2 000 tons of aid. Locally, the organisation’s efforts are far-reaching. It runs a total of 21 projects in South Africa including disaster response relief, once-off temporary projects, such as the donation to ultrasound machine to GF Jooste Hospital in Cape Town, and long-term projects including various forms of support to old age homes, orphanages, facilities for mentally and physically challenged people, shelters for abused women and children, educational projects, agricultural sustainability projects, sports development and entrepreneurship. Gift of the Givers donated 400 blankets to the residents of the Randfontein Landfill site informal settlement after a media story highlighted the plight of the community. In addition to the blankets, Gift of the Givers installed 10 additional taps in the settlement, and helped with feeding schemes for the residents. During the miner’s strike at Lonmin’s Marikana Mine near Rustenburg, the organisation handed out hot meals to striking workers and donated R2 million worth of food and supplies to the community of Marikana. The organisation’s achievements and awards are overwhelming. They include among numerous others, the design and development of the world’s first and largest containerised mobile hospital deployed in Bosnia; a product of South African technology, described by CNN as comparable to any of the best in Europe and unmatched to this day. Another product of South African technology is the world’s first Containerised Primary Healthcare Clinic. 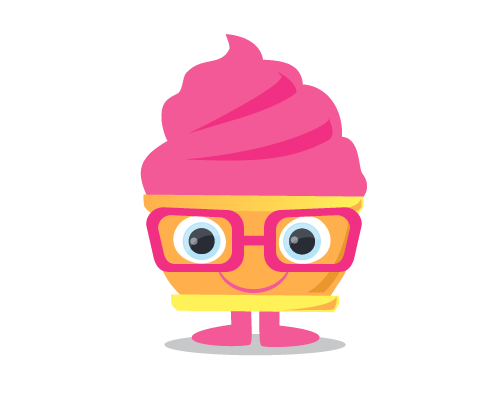 Collectively more than three million patients have been treated in its 20 units. The project is implemented in partnership with the Department of Health and the clinics are currently treating 40 000 patients per month. Gift of the Givers is the only organisation in the history of South Africa to receive R60 million from government to roll out 204 000 emergency food parcels in KwaZulu-Natal and the Eastern Cape. In 2003, Gift of the Givers was the only charity organisation in the world permitted to land its own plane in Baghdad International Airport after Gulf War 2 and deliver humanitarian aid to the Iraqi people. It was also the first NGO in the world to respond to the Iran earthquake in 2003 and to the Sri Lanka tsunami in 2004. Gift of the Givers innovated the world’s first groundnut-soy milk High-Energy Protein Supplement called Sibusiso Ready Food Supplement. In 2005, it was the first NGO in the world to respond to the tsunami in Somalia. 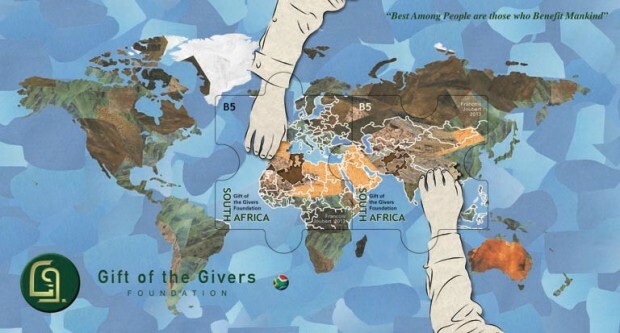 Gift of the Givers is the only organisation in South Africa to receive awards from two successive South African Presidents, including the President’s Order of the Star of South Africa (the highest civilian award in the country). Some of the other awards received include the Four Outstanding Young South Africans Award, Lenasia Human Rights Award, the Community Service Award from Rotary and the Paul Harris Award, also from Rotary. In 2006, the organisation received the Pakistani Presidential Award from President Pervez Musharraf. In 1997, it established Gift of the Givers Careline, a telephonic and face-to-face counselling service; this service toll-free on 0800 786 786.